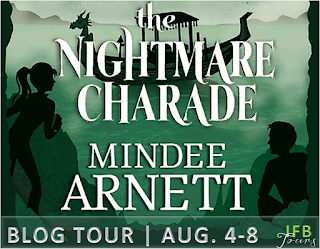 The Nightmare Charade is the final book in Mindee Arnett’s Arkwell Academy series and it’s been a fun ride. I’ve kind of thought of this as being a wizarding world, paranormal, scooby-doo mashup. Where Marrow shakes his fist and goes, those pesky kids. I love boarding school stories like this, there is something that I really enjoy about them. I loved from the beginning the unique take on the paranormal aspect. There are Fairies warlocks and Mermaids (not called mermaids, I always forget their name) but then there are the Nightmares. Mindee’s creation of this nearly extinct paranormal creature is what sold me on this series in the first place. Dusty (Destiny) and her mom, Moira, are such cool characters. Both headstrong and defiant. They are forces to be reckoned with and the fact that they feed off people’s dreams is even cooler. Imagine being able to walk through someone’s dream and see what’s in their subconscious or in Dusty’s case as a dream seerer be able to relive events. We have been leading up to The Nightmare Charade in the last two books. Although Dusty defeated Marrow they knew he wasn’t gone for good. The only problem was they didn’t know when or how he would come back. Plus it’s difficult to trust people when you are never sure what side anyone could be on. I have really enjoyed the mystery and even though I did figure out things fairly quickly, I think it has to do with my own skeptical mind with trust issues, I still found the book enjoyable. Just because you know what all the puzzle pieces look like you don’t always know exactly how they are going to all fit together. The clues were pretty strong so I felt like it was going for leading to you to the ending so that even though parts are surprising it doesn’t come out of nowhere. I think boarding school gives you more freedom as fair as parental involvement but there is plenty of adult supervision. It’s why Dusty and Eli can’t seem to catch a break, being that the curse is hanging over their heads. Dusty and her mom definitely have a unique relationship being that her mom kind of flits in and out but it’s really strengthened since the start of the series. It’s really one of the major character changes we see. Dusty, Eli, Selene and Lance were all still lovable to me. We have seen them change and grow. Especially Dusty and Lance and even though the series has ended. Who knows maybe we will see the dream team again. 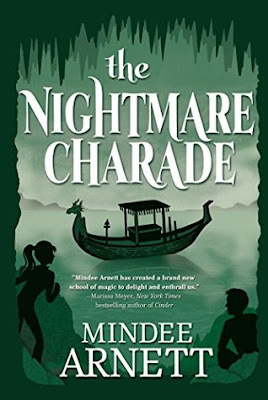 The Midnight Charade was a great third book for the series. 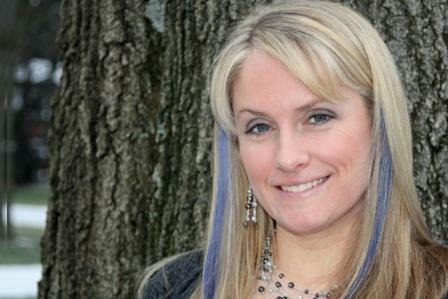 I think if you are a fan of boarding school novels. Then you will definitely enjoy this one.